Aline Ayoub’s vast experience in the field of Human Resources gives HumanPoint clients an expert source for help with hiring, building, and developing cohesive and successful teams. 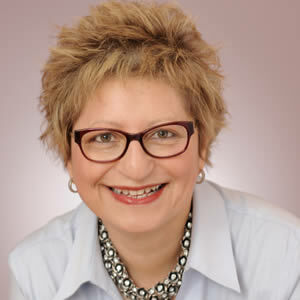 Her business approach to people management comes from her over 30 years of experience, both within large companies and as an executive consultant to small businesses and individuals. Whether she’s providing an easy-to-implement toolset for tackling a client’s HR challenges, or coaching a senior executive through a career transition, Aline is highly culturally adept. She’s worked with a diverse set of clients from multiple industries and backgrounds, and is fluent in English and French. Her own experience as an HR executive at Hudson’s Bay Company, Loblaw’s, and Sears Canada lets her draw from a wealth of experience interacting with many types of leaders at all levels of their careers. Aline uses these perspectives to develop programs for companies and executives that truly address their unique needs. She guides her clients to find and overcome their blind spots through individualized dialogue, and she’s passionate about their growth and achievement. Aline believes that communication, transparency, and accountability are the driving force of a successful performance management approach. She shows her clients how people can change when they are provided with consistent feedback and developmental opportunities. Her breadth of knowledge and experience helps HumanPoint clients find, retain, and grow their teams. Contact us to work with Aline!